Author of the “Litigating Bus Crash Cases” chapter of the West Publishing treatise on “Litigating Truck Accident Cases,” Robert served as the 2013 Chair of the American Association for Justice Trucking Litigation Group, and in 2014 he served as Chair of the AAJ Bus Litigation Group, and as Chair of the 2500 member AAJ Motor Vehicle Collision, Highways and Premises Liability Section. A prosecutor for many years, Robert has also tried truck and bus wreck cases for plaintiffs for almost four decades from coast to coast, he has served as plaintiffs’ class counsel in “multiple death bus/truck crash” cases, and he served as court-appointed plaintiffs’ class counsel with Irving Younger in the first mass tort wrongful death class action in the United States, representing 113 wrongful deaths and hundreds of injuries in the Kansas City Hyatt Federal Skywalk Litigation. Robert currently maintains an active trial docket in Texas, New Mexico, California, Tennessee, and Louisiana in state and federal courts. Having worked for several years as an appointed member of the Texas State Bar Disciplinary Committee, Robert also served as Chair of that committee and he acts as an expert witness on lawyer ethics and attorney’s fees. Robert also served for many years as a member of the State Bar of Texas Court Rules Committee. 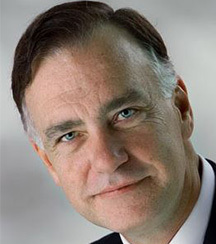 A Diplomate of the National College of Advocacy, Robert created and has served as Course Advisor of the AAJ Trucking Litigation Skills College, and he has served as Course Advisor for the AAJ Jazz Fest Seminar and numerous Truck/Bus case seminars and courses for state Trial Lawyers Associations across the country.